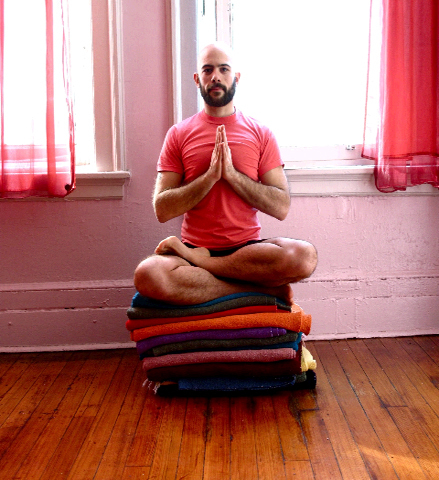 domenick schiavone was lead to yoga through a deep belief in it’s transformative power. he received his yoga teacher training at greenhouse holistic in brooklyn with leigh evans, paul manza, and summer quashie. he is a clinically trained and licensed social worker, and incorporates elements of yoga into his psychotherapeutic interventions. he teaches an alignment focused vinyasa class that explores the connection of body, breath, and mind. he seeks to support and encourage his students to heighten their potential, constructing thoughtful classes that are vigorous yet maintain balance between effort and ease.